In just a few weeks, music lovers can take advantage of a variety of concerts in Eagle as part of the Bonfire Brewing’s ShowDown free summer concert series at Eagle Town Park. Bands from across the musical spectrum will take the stage, putting on an epic display of their musical talents. The first concert is set to take place on June 30, 2016. PCW will also be presenting a few contests with some awesome prizes on July 28! The team’s excitement is shared by the entire PCW gang, since they can’t wait to see familiar faces and spend time enjoying a beautiful summer night with great music and people. The ShowDown lineup includes bands like Kerry Pastine & The Crime Scene Band, Tracksuit Wedding and more. 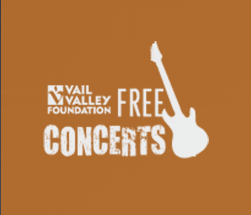 The event is free for the public and concerts will take place on Thursdays at 6:30pm throughout the summer. Here’s some more information about the event, including a full music lineup. 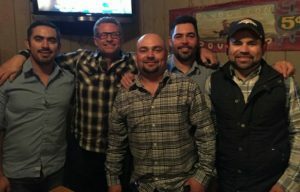 Precision Construction West is a full-service construction company that specializes in residential and commercial projects, and we would be happy to discuss your unique home building project! PS — Keep an eye out as we move into July since we’ll be sharing more information about the cool contests we’ll be hosting! Back in January of this year, we started work on a 5,000-square-foot horse barn and garage in Castle Peak Ranch. Located in the Sorrel Hill’s development in Eagle, this project has given us the opportunity to not only lend our construction expertise but also to add value with some unique design elements. Work continues on the 3,000-square-foot main house in addition to the massive post and beam structure barn with a focus on allowing natural light to pour in from above. 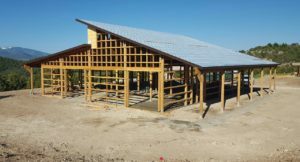 Ultimately, the completed barn will provide four new horse stalls, five garage bays, a tack room, and even more space for storage. We would remiss if we did not thank Kelly Moser of Slifer Smith and Frampton for the referral to this project. We appreciate their continued trust in Precision Construction West to get the job correctly and on-schedule. It is anticipated that this project will be completed this month, and we are eager to see the finished product. If you are looking for assistance with a Vail Valley construction project, please contact us. We are a full-service construction company who specializes in commercial and residential projects, and we would love to discuss your objectives. This summer, residents around the Vail Valley will have access to a variety of attractions and activities as part of the Vail Epic Discovery recreation center at Vail Mountain Resorts. We are very excited about the hand that our company played in the construction of this truly unique summer mountain adventure. Precision Construction West just started work on the project this month and the timeline calls for a June completion. 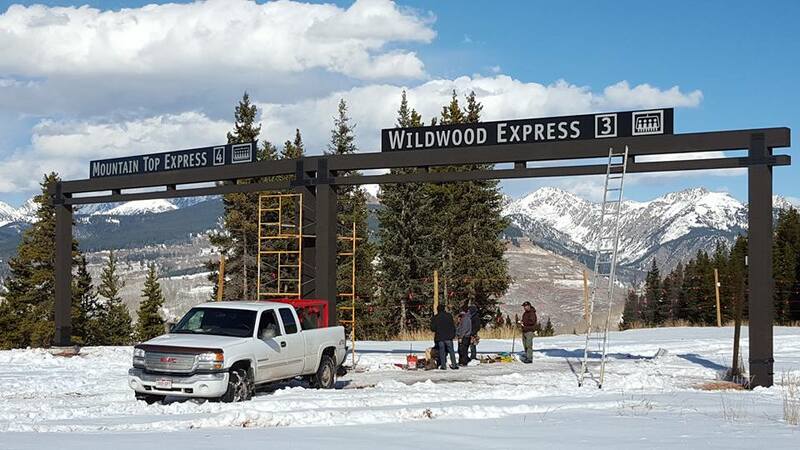 We are currently having sign post bases created by Old Castle PreCast in Denver, and we will transport these ½- to one-ton items up the mountain to give visitors easier access to navigate their surroundings. Additionally, we are construction a new Epic Discovery Zone entry sign, building a new Welcome Center sign, and demolishing the existing Eagle’s Nest Observation Deck to make way for a new Epic Discovery Observation Deck. Epic Discovery brings together on-mountain alpine coasters called the Forest Flyer, an expanded trail system, a guided canopy tour through the forest, ziplines, aerial bridges, and more. The project was made possible through a collaboration between the U.S. Forest Service, The Nature Conservancy and Vail Mountain Resorts. Precision Construction West has been a trusted construction partner in the Vail Valley for years, so we were honored when we were approached to assist in the construction of this truly one-of-a-kind summer mountain experience. For more information about Epic Discovery at Vail Mountain and to purchase online tickets, please visit www.vail.com. Plans are in place to open another branch of Epic Discovery at Breckenridge during the summer of 2017. For assistance with all of your commercial and residential construction needs, please contact Precision Construction West. 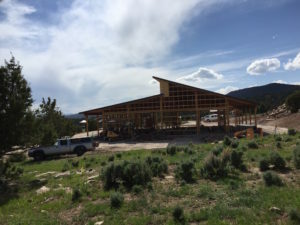 We are a full-service construction company with more than 60 years of experience in the Vail Valley, and we would be happy to discuss your unique home building project! Since the inception of the construction industry, it has been a manpower intensive business. It’s true, over the past few decades, our industry has evolved. For example, tools have been developed to make certain functions and tasks easier for the layman, hydraulics have allowed us to lift heavier loads and materials have advanced to allow for better weatherproofing and improved conditioned environments. However, at the end of the day, nothing would get built without MANPOWER. And this very important component could never be replaced by tools or technology. While it may seem simple from the outside, construction to begin with is a very complex industry. It isn’t as simple as putting up a structure or digging a few holes. There are numerous moving parts and pieces. To give you an idea, here’s a quick overview. We start with soils studies, surveying, engineers, architects, bankers and developers. Once a structure is designed, the project needs a Construction Management company to supervise the tasks required to go “vertical” with the structure. These tasks include numerous contractors and suppliers. There’s excavators, concrete formers, water proofers, framers, flat workers, roofers, siding and trim carpenters, plumbers, electricians, mechanical workers, low voltage contractors, insulators, drywall hangers, drywall finishers, interior trim carpenters, overhead door installers and suppliers, window manufacturers, door manufacturers, security and alarm contractors, fireplace manufacturers; just to name a few. By the time a project is complete, hundreds of people will have worked on a particular project, ensuring that each and every task is completed to specifications. Managing this process requires a firm who can create a healthy project team and we pride ourselves in doing just that on each and every project we manage. Over the years, technology has allowed us to consider pre-fabrication of many of the processes associated with constructing a structure, but nevertheless, these processes usually require additional manpower, up front, and may and/or may not reduce associated construction costs. Inevitably, construction projects will remain manpower intensive endeavors forever! Technology can’t adapt to topography, site obstacles, climb scaffold, shimmy up ladders, adapt to fluctuating climate and weather, walk steel, carefully install windows or make judgment calls, often required, spur of the moment. Manpower is the heart of the construction business and it is imperative that projects and clients are treated with the dignity and respect they earn/deserve throughout the process. So when you hear people talking about automation or technology taking over human jobs, know that construction will never fully fall into this bucket. 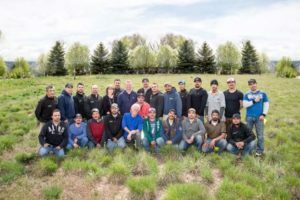 And, our team is here to ensure that it isn’t just manpower that is being supplied, but also a rock solid team that provides nothing less than the highest quality of work and exceptional communication to each and every client we work with. If you have a question about a project or are interested in working with our team, please don’t hesitate to contact us. We are here to help! Thinking About Building a Custom Home in Vail? Read This First. It’s no surprise that people are choosing to build in Vail Valley. I mean who wouldn’t want to live in a beautiful area that provides awesome amenities and things to-do throughout the entire year? In addition to the obvious reasons why one would want to live in Vail (or surrounding areas), real estate is also on the rise. According to recent analysis by Land Title Guarantee Company, 17 percent of Eagle County real estate was purchased by Front Range buyers during the 4th quarter of 2015. In addition, there are also a large number of buyers coming into the area from other parts of the United States and other countries, making a great area for a second home – either to live in or use as an investment property. The one challenge clients often encounter when they decide to make the wonderful decision of building in Vail and surrounding areas is lack of planning and guidance from professionals. It’s not uncommon for people to purchase a vacant lot before they actually crunch the numbers and consider what it will cost to build the home of their dreams. Todd Morrison, owner of PCW, summed it up perfectly, “People get very excited about the idea of building on a lot with amazing views, but they do not think about the extra added expenses that it involves. It could be up to 30 percent more expensive than a normal flat lot. Over years PCW has worked on an endless number of custom home builds in Vail, and the mantra has always been to look out for their clients’ best interests from day one. “When you buy a lot on a hillside or with long easements there is significantly more site work involved in preparing the lot to build. That means that there is more manpower to complete the project, which equates to a higher price tag. This is why it’s extremely important to work with a professional who can educate the buyer prior to these decisions being made,” Todd explained. This is why it’s extremely important to work with a company that has extensive experience building in these types of areas. They can ultimately save you a large chunk of money and help you avoid not-so-happy surprises. When Kim works with clients, she takes several proactive steps to ensure that costs and expectations are clear from day one. Request the buyer to narrow down their lot selection to three so that each can be analyzed from a build cost perspective. Plan for an architect in to look at the lots to discuss design plans and how the home could potentially be built to reap the most benefits (like taking in the views). Plan for a builder (like PCW) to visit the sites. Usually, at this step, the buyer is informed about costs and various options, which allows them to plan budget accordingly. Finally, there is a process of elimination of three lots based on costs, benefits and time needed for completion of the home build. Like Kim, Todd urges clients to work with someone who knows the area because they’ll know what they are looking at from a cost and time perspective from day one prior to the project commences. If something is too expensive, alternative decisions can then be made versus finding out in the midst of construction and it being too late to turn around. Here at PCW, educating clients is a huge part of what we do. We don’t want there to be any surprises midway through a project. This is something our clients tell us time and time again that they’re very grateful for. The only thing better than a custom home is a custom home that is scoped out from day one with all factors considered. It definitely makes the process better for everyone involved. If you have any questions about a custom home build in Vail or a surrounding area, please don’t hesitate to contact us! We’re here to help and answer any questions you might have.